This procedure involves editing a game file; create a backup copy of the file before proceeding. 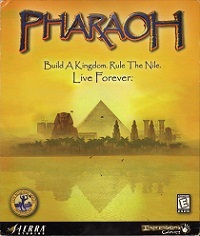 Start Windows Explorer, and highlight the "Pharaoh_Model_Normal.txt" file in the game directory. Press the Right Mouse Button, and select "Properties". Remove the check mark from the "Read Only" box, then select "OK". Use a text editor to edit the "Pharaoh_Model_Normal.txt" file, using the instructions contained within the file as a guide. After saving your changes, use Windows Explorer to place the check mark back in the "Read Only" box.